Cryptopia market shut down in last seven days as it suffered a hack that brought significant losses. Ethereum data shows that few funds have been hacked and sent to Binance. “I don’t understand why the hackers keep sending to Binance. Social media will be pretty fast to report it, and we will freeze it. It’s a high-risk maneuver for them,” he added. 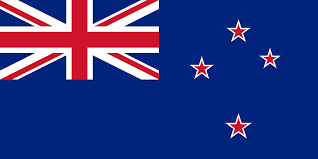 New Zealand police have updated that Cryptopia hack is complex and they are looking for all possibilities to find the hack of crypto exchange issues. Police confirmed that investigation is in “early stage” Hence they can’t confirm the exact amount of hacked cryptocurrency except that it is a significant amount. “We are also aware of speculation in the online community about what might have occurred. It is too early for us to draw any conclusions and Police will keep an open mind on all possibilities while we gather the information we need.”In the past few days, Cryptopia went down before making an announcement of significant losses due to firm suffered a hack. The company representative has reportedly said that “We cannot comment as this matter is now in the hands of the appropriate authorities. We will update you and our customers as soon as we can.” in an interview with a famous crypto media.